But below mentioned are plenty of reasons of why this herbal face cleanser can be a good pick for your skin. “Shubhr means radiant. Face is the most attractive feature of human body. First step in Ayurvedic face care is to cleanse, tone, and nourish the skin. Proper cleansing and toning is done by removing dead cells, clearing clogged pores, removing toxins & pollutants without stripping the skin of natural oils and moisture content. Enzymes in raw honey clarify skin and keep pores clear and clean. Honey is loaded with antioxidants, enzymes and other nutrients that nourish, cleanse, and hydrate the skin. Nagkesar acts as anti inflammatory and anti bacterial and helps in clearing skin. Anantmool is natural blood purifier and removes heat and inflammation from skin. Aloevera is an excellent moisturiser and its antimicrobial property helps in treatment of acne. Carrot seed oil contains vitamin C & E and helps to diminish the lines and wrinkles leaving skin soft, supple and hydrated. Rose essential oil is refreshing and uplifting. For more information about the brand and their products, visit their official website, here. Take 2 to 3 pimps of the product in your palm and apply all over wet face and neck in circular motion. Rinse well and pat dry. 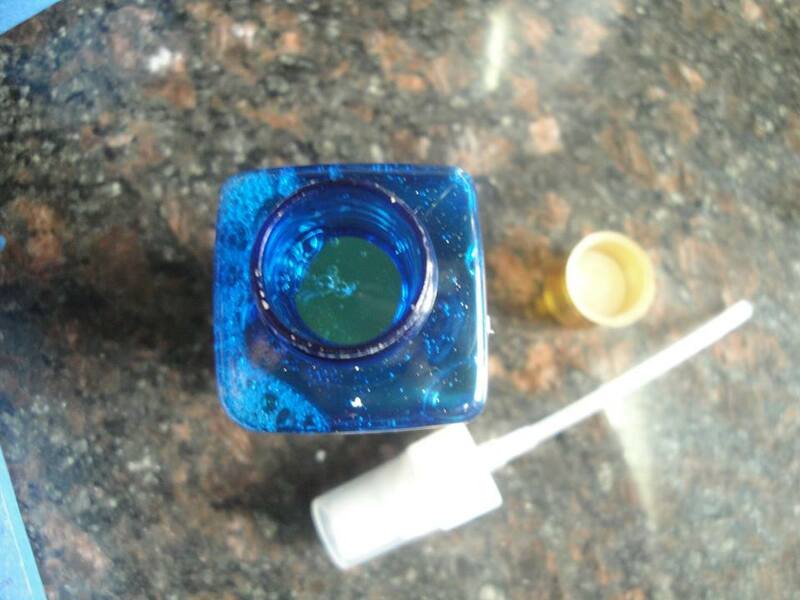 Shubhr Radiance Honey Face Cleanser comes in a bright blue plastic bottle with pump dispenser. Packaging looks plush and enables convenience of use. The herbal face cleanser is available at all Blue Terra Spa outlets and online stores. You can also purchase the product from Blue Nectar official website, here. The face wash is a clear liquid with slightly gel-like consistency. It has lovely rose scent that feels uplifting to the senses. When it comes to using cleansers and face washes, I’m very finicky. I have combination to oily skin. Some foaming cleansers leave my skin tight and dry; other cream cleansers make my skin feel oily just after an hour of washing. 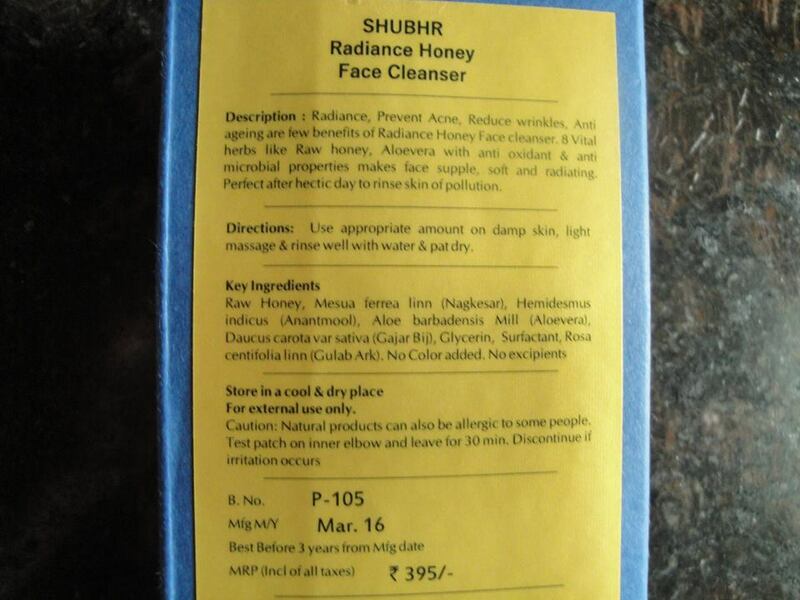 But this Shubhr Radiance Honey Face Cleanser from Blue Nectar feels JUST RIGHT! My skin loves to wake up to its uplifting rose scent. It’s a very gentle formula that feels like I’m really babying my skin. The lather is decent; neither too rich nor too scanty. Rinsing off, my skin feels clean, soft, refreshed and faintly smelling of roses. I sometimes use it with my Proactive deep cleansing facial brush. The rose scent of this face wash together with face cleansing brush makes every face washing feel like a trip to the spa! It’s been more than a month, I’m using this cleanser daily in the morning. And my heart will break into a trillion tiny pieces when I finish the bottle. I am hoping and trying my best it lasts me at least a couple of months more! I also like the fact that all its ingredients are natural plant extracts with scientifically proven skincare benefits. However, there’s one flip-side to this all goody natural face cleanser – for some (ironic) reason, it stings my eyes – just a little but it does! That said, it might be partially due to the fact that I recently started using an AHA based exfoliator in the night and my skin has become a little more sensitive than usual. 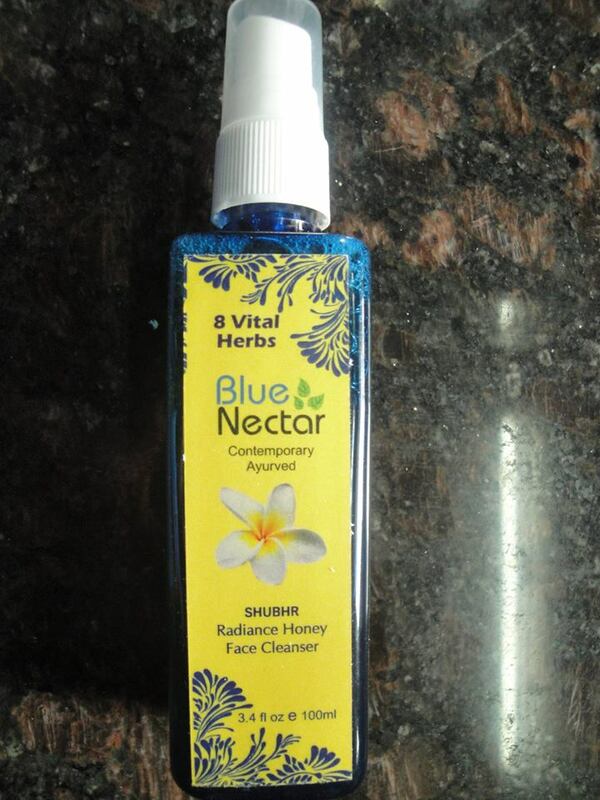 All in all, I love Blue Nectar Shubhr Radiance Honey face cleanser mainly for three reasons. First, it’s totally a natural herbal face cleanser. Second, it smells divine. And third, it cleans without drying or making the skin oily. Do give this herbal face wash a try if you have sensitive skin or love natural skincare products sans any chemicals. Thanks. I liked the description and the fact that using is almost like trip to Spa. Looks in the same category as few other elite who are more than double the price. Will definitely give it a try! I’m glad Shailly you liked the review. You are definitely going to love this cleanser. Use it with a face brush and whole experience becomes so exotic and rejuvenating.